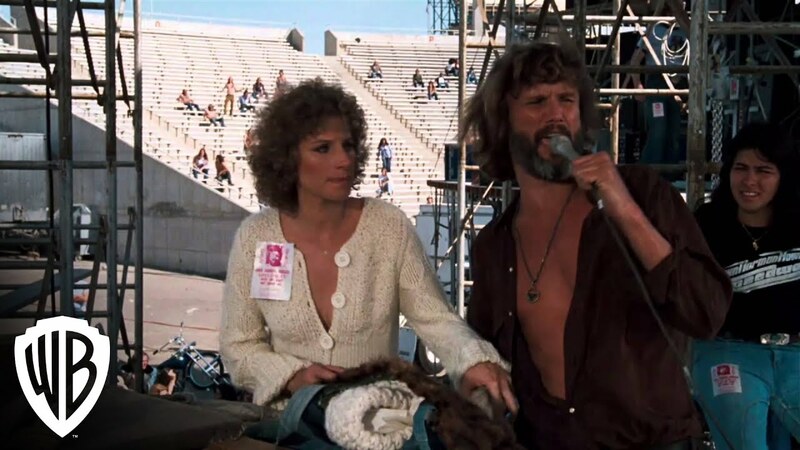 The only version that I consider anything other than very good is the Barbra Streisand-Kris Kristofferson one. It's too long and neither the personal nor professional drama is at all compelling. Made as an attempt to endear Streisand to a younger, rock-loving audience, it has some good tunes ("Evergreen" is a classic"), but it mostly a mess, despite being a huge box office hit when it was released. Kristofferson's performance is pretty bad, and this is the version with the worst handling of the addiction element. The ending is also changed to leave open the possibility of other interpretations that significantly weakens its impact. It's a wonder Streisand didn't melt under the 57 spotlights pointed at her constantly. This George Cukor-directed musical version starring Judy Garland and James Mason was the first version I saw, and I loved it. But once I saw the '37 version I realized how bloated this one is. I still liked it a lot, but it just takes all the best parts of the '37 version, adds some filler and a bunch of musical numbers, resulting in what is by far the longest version. Most of the musical numbers are enjoyable, though not enough to justify the runtime. This version was designed to be a comeback for Garland, whose personal troubles had interrupted her career by the early '50s, which is why it's amazing how raw and vulnerable she is in the part. It's possibly her best performance and it's worth seeing it for that alone. Some will no doubt consider it blasphemous to put this version ahead of '54, and it's true time may change my opinion on this, but right now I think the changes Bradley Cooper makes to the story cause it to be an overall more compelling watch than '54. The movie takes its time explaining what they see in each other at the start of their relationship (unlike '76), and it makes Cooper's character less awful, by making resentment not be at his wife's success, but his fear she's losing her artistic identity. And it doesn't try to pretend it's something original, it incorporates nods to the earlier versions in a way that makes it feel both modern and timeless. There's just no improving on perfection. The tightest, most incisive version of this story remains the '37 one starring Janet Gaynor and Fredric March. It goes through all of the melodramatic beats the others do, but in a way that doesn't feel padded-out or self-indulgent. It's biting commentary on the studio system of Hollywood in the '30s, but it's the also funniest version. It includes some classic Dorothy Parker (who contributed to the screenplay) zingers. I really hope people who like the Gaga one go back to watch this one. I've already seen some online comparisons that only discuss Garland, Streisand, and Gaga. When talking A Star is Born, you can't forget the best! How would YOU rank the different versions of A Star is Born? Put your own rankings or your thoughts on mine in the comments below!